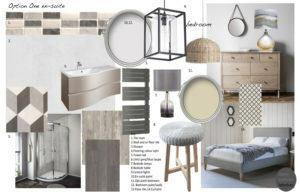 Come March, April and May, enquiries file in for new bathroom designs at Tracey Andrews Interiors HQ. By June they are well on their way to being fitted. I don’t know why this happens at this particular time, maybe it is in preparation for the winter months ahead. 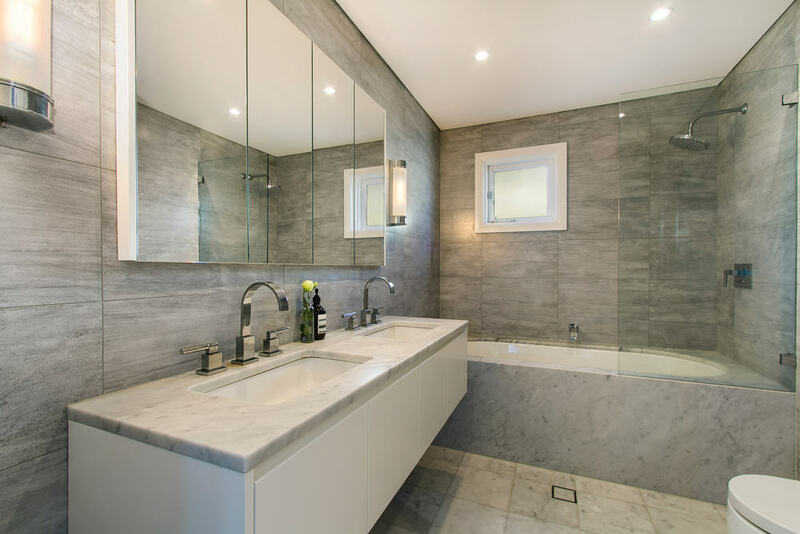 Regardless, bathrooms are a delight, and I love to design for these wet areas of the home. Many clients are challenged by the implications of this practical room, and find the urgency for decision making overwhelming. 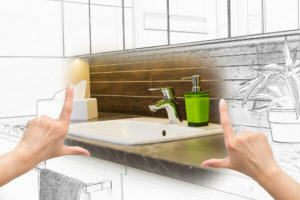 The bathroom is one of those rooms where you need to make a succession of decisions quickly, and by making sure you have all the ideas, vanity units, basins, taps and accessories all in situ well before your plumber or installer arrives. With so many styles to choose from, technical and space planning to consider, it is no wonder why clients seek help. So just where do you begin.? Here is a guide to move you forward. Having a vision and a plan. 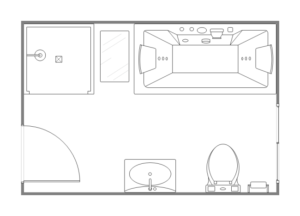 Bathroom design is a slightly different design process, and as I mentioned early decisions are necessary. Fundamentally you should be thinking of style, feasibility of your vision and space planning. Style - Traditional or modern? Decide on a style that you love. For inspiration look at images online from Houzz or Pinterest, or search the more traditional resources like Kitchen and Bathrooms magazine or Living etc. Do not dismiss the many bathroom design shops that are local to you. You often find new trends that spark inspiration, and addition you can add to this by bringing in aspects of nature, maybe, or a certain colour or texture you love. Consider the location of your house; do you live alongside a river or perhaps the sea? Maybe you have a different approach for inspiration. 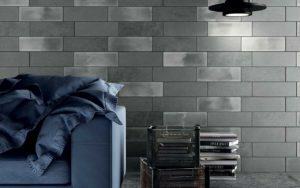 For me, choosing the style of tile is a good starting point, because this will be the focal point of your room. Always keep a mental note of the size of room and style you have have chosen and always the availability of space. Select a tile style first. Size is important, and a larger size will enlarge a small room, but don’t opt for too large; 300 x 600-900 is a good gauge for a small room.Choose small tiles for traditional settings and the larger tiles for modern. Seek out your local retailers, and there are some great companies online who willingly will send you samples. 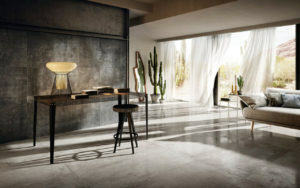 I recently viewed Diesal – a new range of tiles emulating denim and ‘Danubio’ a type or concrete relief wave pattern reflecting nature. 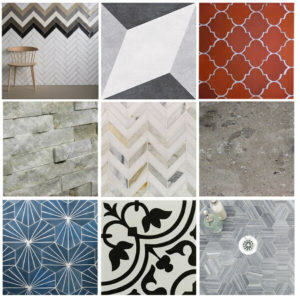 Suggested to me with one of my collaborators Diesse a unique tile supplier I am for ever finding new tiles that amaze me. And then there is the internet search.Two in particular that I work with are Capitol Tiles where you will find owner and staff incredibly helpful, and Tiles Porcelain who have a good range of tiles. All these companies are a powerhouse of knowledge in which they show real passion for their trade. Who will be using the bathroom and what are their needs? For example, you may have a large family, requiring bath and a shower. Some households have a main bathroom with a compliment of en-suites giving more options for having it all. So, big family, a new baby to the fold, single or purely just in need of an update, decipher each need; define your space, and you begin to see the plan take shape. If you are some what nervous of the whole process so far contact your designer who can guide you the way. We are here to assist! Plan, plan, plan. I can not emphasise enough! Draw scaled dimensions - a plan of the room. You may do this simply by buying scale ruler, or if you are computer savvy, you could purchase a home designer package. Purchasing software for this maybe only worthwhile if you are planning on a grander scale and have other rooms to design. Whichever you use, it is invaluable to understand where vanity units, baths and showers and all the bathroom accessories can fit in. If you are worried about space, then this will solve all the hopes or doubts you had! Go neutral, glitz or trend? While this is down to every individual choice and of braveness, we all tend to stick to the safest and most neutral of schemes when designing our bathrooms. A safe route but are you challenged enough? Why not go a bit more wild if you dare? It sometimes raises this temptation when you see all around you the newest products on the market, but trend will end and your bathroom rated by period of time. Please, please never trend. Don’t be part of a trend that you wish could end! Be individual in your choices; if you have always loved marble - then be-marbled! If you have a yearning for a roll top, go roll top! Always stay neutral if you want to stave off these tempting trends and they will be timeless for seasons and seasons to come. Also neutral is a winner when you arrive at selling your property. Choose limestone, marble, natural stone or even slate. With all the info you have gathered; style, feasibility and plan, you should be ready to go with finalising the finer details and let the project begin! Still too worried to go on? If you still feel exasperated by the whole prospect then contact us for a free consultation.Tracey Andrews Interiors.